5 Dogs Creek Cowboy Action Shooters Monthly Matches are the 1st Sunday of the month, and also the preceding Saturday (same weekend) usually starting at 9 am in winter or 8:30 am (summer). Mandatory shooter’s meeting at 9 am. Match begins immediately following the shooter’s meeting. Mandatory shooter’s meeting at 8:30 am. We don’t break for lunch, so bring a meal or a snack & eat when you’re hungry. You’re going to want to bring water or gatorade or something to drink too. Hot dogs ($3) are sometimes available for a short while about noon up at the yellow range house. Good, but you have to be really alert to get ’em while they are available. Being lucky helps too. You should probably bring a lunch or snack just so you don’t go hungry. Free camping the nights before the regular monthly matches. Sometimes we like to have a potluck dinner or movie night outdoors. :-) We do like to have a good time, so be prepared to be friendly! 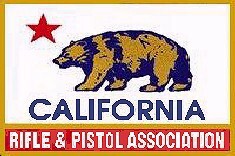 If you are new or even sort of new to Cowboy Action shooting, we encourage you to come out and watch a Saturday match, and talk to our “Sheriff” so he can walk you through the safety check after the match. Then you can shoot the Sunday match with us if you are ready. Even if you are an experienced shooter you will likely pick up some good tips. We try to make this worthwhile time for you, and we are really big on safety. We have a great safety record. We want you to come back! 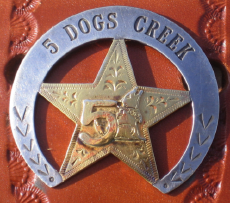 Time to join or renew your 5 Dogs Creek Cowboy club membership! The range is closed Tues, Wed & Thursday, so don’t expect the phone to be answered those days. The range is open from Sunup to Sundown the other days. AFAIK There is no official email contact for the 5 Dogs Range. If you have a question about our Cowboy Action Club you can Email Club Info or check the newsletters for info. 5 Dogs Creek encourages you to join SASS, and support your rights by joining your choice of the NRA and/or a freedom-oriented political organization local to you. Nearly 200 acres at 5 Dogs is dedicated to live fire shooting.